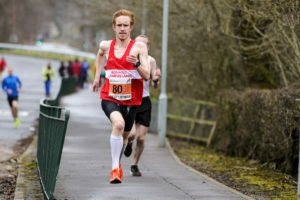 There’s a keen sense of anticipation in the Scottish endurance community ahead of the National Road Relays – back at Livingston for a 20th edition of the event at that venue since 1998. And with Record entries once again having been achieved for a National Championship event there’s every prospect of some thrilling contests in the various age groups. 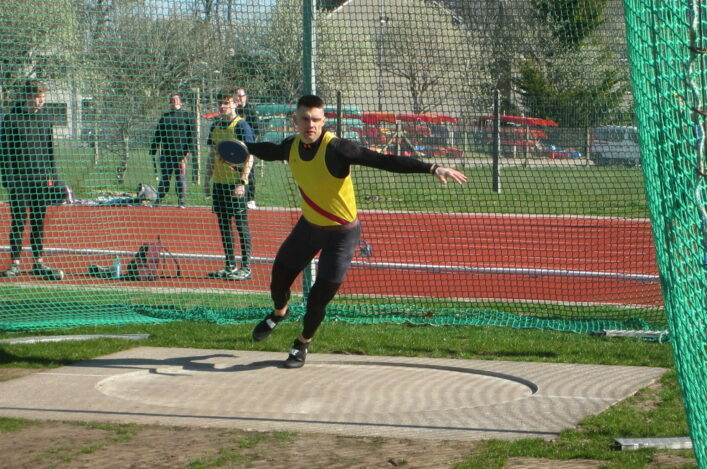 The clocks go forward in the early hours of Sunday but, a few hours later, all eyes will be on times and places at St Margaret’s Academy as hundreds of athletes delay Mother’s Day celebrations . . . for the one sport they love. 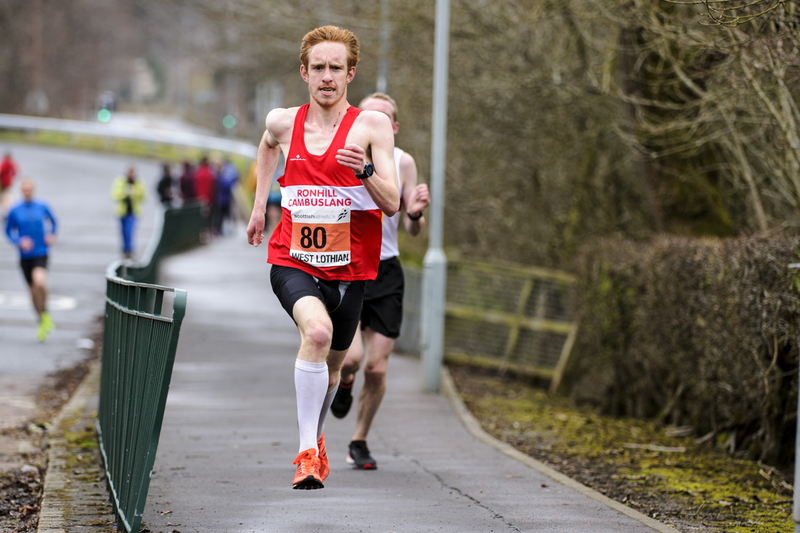 Central AC savoured a double at Senior Men’s and Senior Women’s level in the Lindsays National XC at Falkirk a month ago and probably start as favourites in both races again this weekend to achieve what would be a commendable ‘double double’ in road and cross. The likes of Jamie Crowe and Dale Colley are within a Central squad who have lost out in this race over the past couple of years after winning three-in-a-row from 2012-2014. 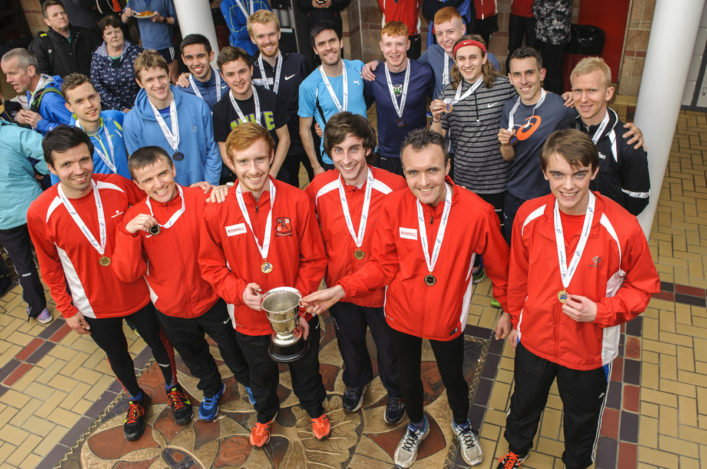 Holders Cambuslang Harriers will be very close to their lineup from 2016 but Inverclyde AC, bronze medallists last year, may not be quite as strong. 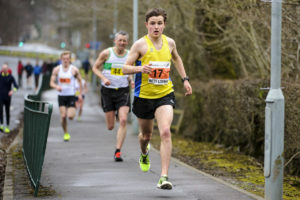 Corstorphine AAC have Calum McKenzie representing Scotland at the Home Countries XC in Wales on Saturday and it appears he will race on Sunday, too, with this team published – Howell Craske, Dermot Cummins, James Harrison, McKenzie, Scott Pilkington, Dougie Selman. Shettleston are bolstered by the present of Weynay Ghebresilasie, with his change of club now having been processed. 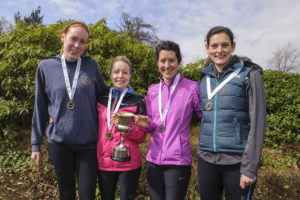 In the Masters and V50 races, Cambuslang defend both titles are enjoying a clean sweep last year in terms of the men’s races but will no doubt not have it all their own way with various clubs intent on podium places in these categories. In the Women’s race, Central are looking for their third win in the past four years with only a Lothian team inspired by Sarah Inglis having broken that run a couple of years ago. The likes of Aberdeen, Edinburgh, Metro Aberdeen, HBT and Fife may look to challenge but Edinburgh Uni are weakened by Scotland XC call-ups. 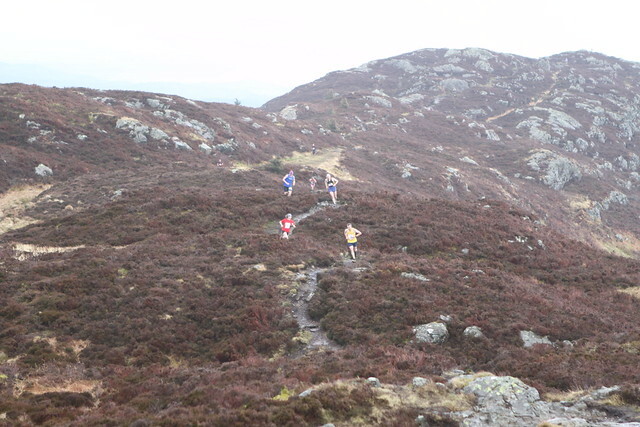 Part of the appeal is this race is the range of athletes involved from varioys disciplines and there will be Olympians in the field, too, with Derek Hawkins to race for Kilbarchan and Lynne MacDougall for Garscube Harriers. New GB ultra call-up, Kyle Greig, leads Metro Aberdeen and good to hear that Michael Ferguson is fit-again for Aberdeen AAC after missing the National XC with a shoulder injury. The first Scottish Women’s Road Relay Championships was held at Scotstoun in Glasgow on the 29 January 1972 under the auspices of the Scottish Women’s Cross Country Union. The Scottish Men’s 6 Stage Road Relay Championship did not appear until March 1979 under the auspices of the Scottish Cross Country Union. It was devised as a contingency plan for the time that the Edinburgh to Glasgow Relay would be no longer viable due to traffic. In 1998 with the advent of the Scottish Athletics Federation the men’s and women’s events were combined with the latter running 4 stages and the men 6. the Masters’ Championship was incorporated in 2005 and an over 50 event with 4 legs for men and 3 for women was introduced in 2013. 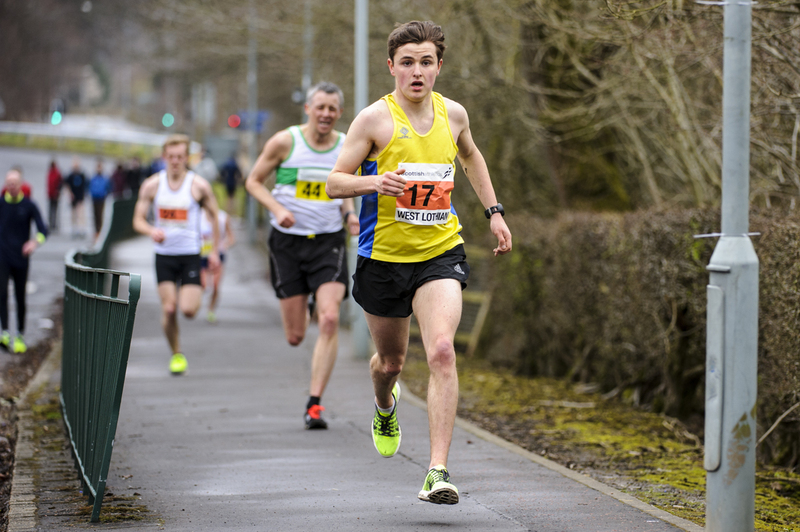 ‘Once again we are grateful for the continued support given by West Lothian Council,’ said John Rodger, Convenor of the Road Running and Cross Country Commission. ‘The continuity and the stability of the venue gives an extra edge to the results in that athletes, teams and even statisticians can compare performances with previous results. *Thanks to those individuals and clubs who answered pleas for marshal help on Sunday. Among those on duty will be GB ultra international Joasia Zakrzewski of Dumfries and 82-year-olds Walter McCaskey and Alastair Jack of Edinburgh AC.